Here is a new Dyersburg area Fannie Mae foreclosure. I have been looking for this one for quite some time. It belonged to a friend of mine who got transferred out and listing assigned to a local realtor. That realtors last listed price was $219,900 and the price today is $178,000. This is a 4 bedroom, 2 1/2 bath home with about 3294' of heated and cooled space. 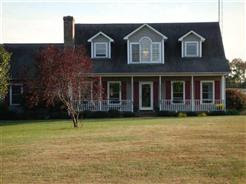 There is an in ground pool, storage building/extra garage or barn and 5 acres. I am sure the property is still in good condition. the address is 1140 Beasley Road. Call or text Mike at 731-589-7841 to view this home. additional information can be seen over on the right under Fannie Mae foreclosures.